After Scrapyard Challenge, Robert Llewellyn joined Dr Jonathon Hare in the series Hollywood Science, to try out for themselves some of the big action sequences, stunts, tricks & special effects from famous Hollywood films like Die Hard and Ice Cold In Alex to see if they are scientifically credible. Llewellyn's character in Red Dwarf is a 'mechanoid' called Kryten, who originally appeared, as a one-off, in Series 2, and played by a different actor. When Llewellyn joined the cast in Series 3, he stayed until the final episode of series 8. Robert Llewellyn has a number of books to his name. 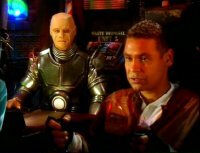 The Man in the Rubber Mask (1994) tells the inside story of Red Dwarf, the title of the book referring to his own character Kryten. 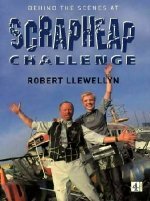 Robert Llewellyn's non-fiction book Behind The Scenes at Scrapyard Challenge was published in 2001 to accompany the Channel 4 series Scrapyard Challenge. Robert Llewellyn presented the UK show (the American version is called Junkyard Wars), firstly with Cathy Rogers, who devised and produced the programme, and later from Series 5 onwards, with Lisa Rogers (no relation to Cathy). In 2003, Robert Llewellyn completed a nationwide tour of his new solo show called Woman Wizard about a software product that helps men to understand women. He has also written fiction, and the first of these to be published was The Man on Platform Five (1998). His second novel, Punchbag (1999) received rave reviews when it was published. Sudden Wealth (likely to be made into a film) appeared in 2000 and a year later came Brother Nature, set in the world of cybernetics. Robert Llewellyn is married to actress Judy Pascoe, who appeared with him for just one episode of Red Dwarf series 4. They have 2 children. The idea behind the show is that teams of three contestants, along with an 'expert', have to build a working machine to achieve a particular function, in just 10 hours, using only materials found at a scrapyard. Robert Llewellyn was born in Northampton in 1956. He had the dubious distinctionn of being expelled from school when he was 16 years old. He became what he called a 'professional hippie' in the 1970s. Later, he was to write all about his rebellious youth in a biography about his teenage years, the oddly-titled book Thin He Was And Filthy-Haired. Robert Llewellyn started out as an amateur entertainer with a comedy cabaret act called 'The Joeys'. They toured the UK and Europe in the early 80s, giving hundreds of shows, with Llewellyn writing much of the material. An event that led to Robert Llewellyn eventually playing the part of Kryten, was when he was seen at the Edinburgh Festival Fringe by Red Dwarf producer, Paul Jackson. At the time, Llewellyn was performing in a feminist satirical comedy that he had written himself, called Mammon, Robot Born of Woman. Kryten is a complicated character, but Wikipedia and Sadgeezer's Guide tell you all about him (see links below). 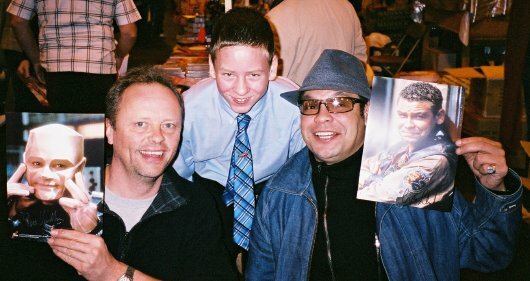 I met Robert Llewellyn at the Birmingham NEC in November 2004. He was at the Memorabilia show, and was sitting next to Craig Charles, who played Dave Lister in Red Dwarf. 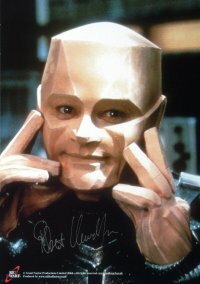 Robert signed my photo of him as Kryten, and then I had my photo taken with both of them.